The demonstration on Sunday 1 February from Hong Kong’s Victoria Park was the first mass mobilisation since the epic Umbrella Revolution. 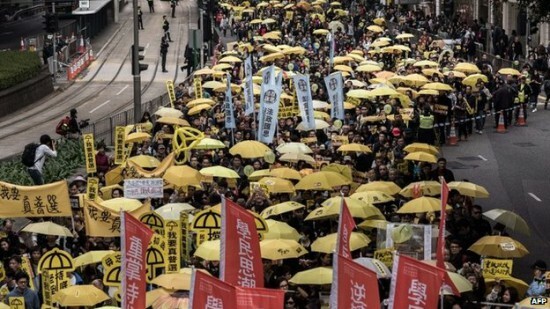 The crowd, estimated by organisers at 13,000, marched under a sea of yellow umbrellas – in a protest that was in many ways a tribute to the 79-day mass occupation movement of last autumn. The march, postponed from the traditional New Year’s Day rally, was organised by the Civil Human Rights Front under the slogans, “Our Hong Kong we save, our government we choose”, and “No fake democracy, we want real universal suffrage”. The heavy police presence of 2,000 officers was – as ever – nervous about possible fresh occupy actions breaking out, although this was unlikely so soon after the events of the autumn. The weeks since the Umbrella Movement have seen the government’s position hardening with a raft of proposals intended to counter democratic demands. 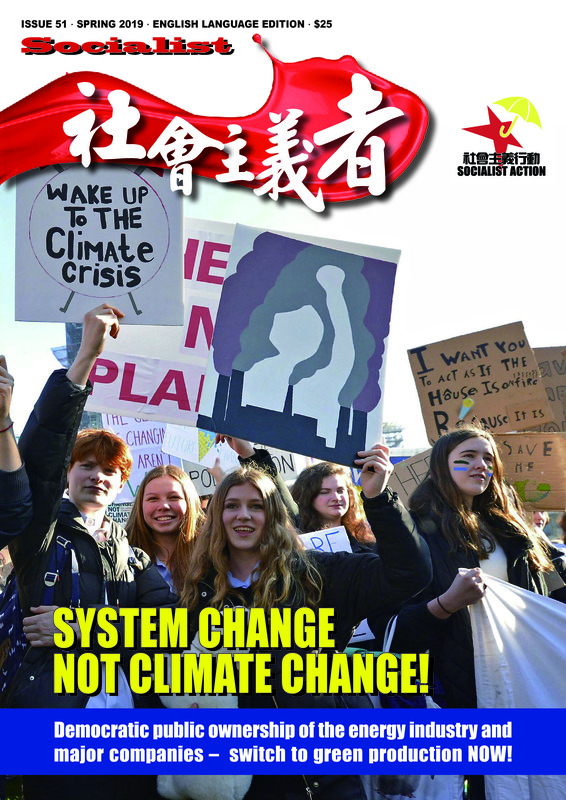 These range from attempts to reintroduce in a disguised form the patriotic education plan that was resisted by massive protests in 2012, to the denunciation of a student magazine on ‘self-determination’ that Chief Executive Leung Chun-ying accused of “advocating independence” for Hong Kong. These initiatives have been accompanied by constant pressure from the Chinese (CCP) dictatorship claiming that “national security” is endangered by democratic demands in Hong Kong. Most ominously there is a renewed push – in speeches by Beijing and Hong Kong politicians – for the introduction of draconian anti-subversion legislation in accordance with Article 23 of the Basic Law. Executive councillor Regina Ip Lau Suk-yee, who as security minister in 2003 failed to implement Article 23 in the face of mass opposition, is the latest figure to call for legislation citing increasing threats of “foreign interference” in Hong Kong’s politics. Ip is actually arguing for a tougher version of Article 23 to include a ban on political groups with links to foreign organisations. The intensified counterattack from the pro-government camp also serves to ramp up the pressure on the bourgeois pan democratic leaders, to test their resolve over a threatened veto of the government’s election plan. In August, when the Standing Committee of the National People’s Congress (NPC) handed down its ruling over Hong Kong’s 2017 elections, the pan democrats gave the impression of a solid front in rejecting what amounts to a rigged Iran-style election system involving only handpicked candidates for the head of government (Chief Executive). But recently the Beijing and Hong Kong governments have become more hopeful that some of the pan democrats can be pressured into breaking ranks. Only four defections from the pan democratic camp could be enough to obtain passage of the NPC reform plan in Hong Kong’s Legislative Council (Legco). A section of the 1 February march for “true democracy”. Sunday’s march was a sign of enduring mass opposition to Beijing’s fake democracy. At the same time the composition of the march, which was noticeably older when compared to the mobilisations of the Umbrella Movement, gives some indications of the tensions and political differences that have emerged within Hong Kong’s democracy movement. It seems many youth decided not to join the march, perhaps feeling it was largely symbolic and not connected to rebuilding or stepping up the mass struggle. The 1 February demonstration was dominated by the pan democratic establishment and the ‘Occupy Central’ (OC) leadership who are closely allied to it, while some of the youth and student organisations that figured prominently in the Umbrella Movement chose to adopt a lower key role on Sunday, perhaps indicating dissatisfaction with the ‘old guard’. OC leaders Benny Tai Yiu-ting, Chan Kin-man and Reverend Chu Yiu-ming were in the leading group at the head of the march. During the Umbrella Movement, which took these leaders by surprise, the OC group consistently stood at the ‘rear’, urging compromise with the government and calling for a retreat from the occupations. Then and now their ideas reflect the fears of the pan democratic political leadership of being sidelined by more radical forces, ideas, and forms of struggle. Socialist Action on the 1 February demo. In the background fresh compromise soundings are emanating from the right-wing of the pan democratic camp. A recent opinion poll in the South China Morning Post showed that half the population want the pan democrats, who control 27 of the legislature’s 70 seats, to veto the government’s electoral reform proposals (which require a two-thirds majority). The effect of this would be to leave the election system as it is today, with a billionaire-dominated election committee of 1200 members who pick the Chief Executive. This, rather than dignify Beijing’s electoral charade of ‘universal suffrage with Chinese [i.e. CCP] characteristics’. With the mass pressure from last autumn’s movement appearing to dissipate at this moment, the pan democratic tops are clearly wobbling and some of the more outspoken compromisers are looking for a way to support the government’s election package. At this stage these moves are very tentative, but unless mass resistance is organised this can crystallise into yet another betrayal of the democracy struggle by the dominant ‘moderate’ wing of the pan democratic camp. Recently, Professional Commons lawmaker Charles Mok, who represents the Information Technology functional constituency, told TVB that the pan democrats should support the government’s proposals if Beijing made a promise to abolish all the elitist functional constituencies, which currently make up half the legislature. An immediate backlash forced Mok to retract his statement within hours. He claimed the TV journalists had made “assumptions’’ rather than reflecting his real views. Mok’s soundings are not an isolated incident, however. Another pan democratic lawmaker, Professional Commons member Lee Kok-long, has indicated he may switch to support the government’s proposal. Civic Party lawmaker Ronny Tong Ka-wah has made a similar proposal for a trade-off between supporting the 2017 election model, with its Iran-style nomination committee, in return for an end to the functional constituencies. This so-called ‘compromise’ – to legitimise an undemocratic system – is unacceptable. Furthermore, like almost all the ‘compromise’ proposals floated by pan democratic politicians, the Chinese regime is unlikely to honour any such agreement, just as it reneged on its 2007 ‘promise’ of universal suffrage in 2017. Down with the dictatorial system! 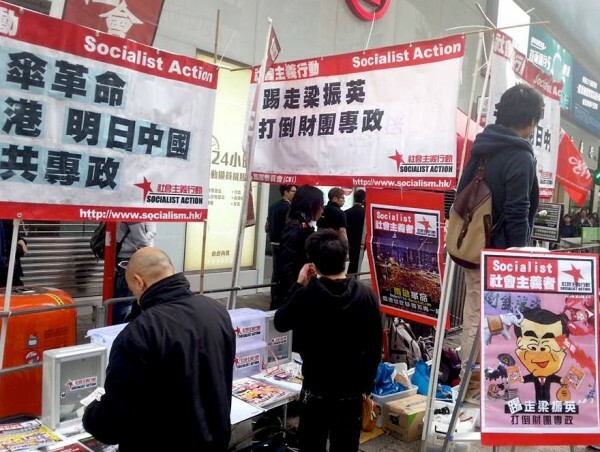 The functional constituencies which institutionalise the power of the stock market and the capitalist class within Hong Kong’s legislature are also integral to Beijing’s elite-dominated nomination committee (for the election of Chief Executive) and therefore, in their eyes, to sacrifice one would endanger the other. This is not to say the functional constituencies cannot be abolished, but like the other totalitarian features of the Hong Kong political system it will require momentous mass struggle and a programme to sweep away rather than tinker with the current undemocratic political system, to replace it with a genuinely democratic system. This in turn is impossible unless linked to breaking the power of the undemocratic and parasitic capitalist class and spreading the democratic struggle into mainland China as a revolutionary movement for democratic socialism. Reject fake democracy, reject the nomination committee and all rotten compromises! Abolish the functional constituencies! Replace the rubber-stamp Legco with a genuine democratically-elected People’s Assembly with real powers to tax the super-rich, abolish poverty, implement a decent minimum wage, reverse privatisations and break the economic stranglehold of the tycoons. The right to vote at sixteen years of age – including migrant workers. For elected representatives to be paid only a skilled worker’s salary plus legitimate running expenses open to public inspection. Rebuild the Umbrella Movement based on the creation of democratic action committees and genuine internal democracy, to coordinate mass actions with the emphasis on walkouts and strikes, to build irresistible pressure behind these demands. For public ownership under full democratic control of the banks and big companies, and the adoption of democratic socialist policies as the only way to secure full democratic rights and provide real jobs, affordable homes and a living wage. 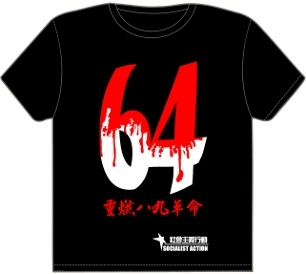 Umbrella Revolution: today Hong Kong, tomorrow China – down with one-party dictatorship!